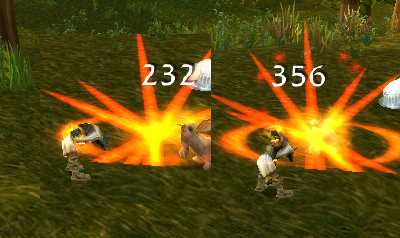 There are new things afoot in the latest Warlords of Draenor Alpha build for pet battlers. Many abilities which used to have lower accuracies now instead have an accuracy of 100%, and the randomness is instead based on range of possible damages. The abilities which previously had high, but not 100% accuracy, like Snap, were just decreased, because the range of damages would kind of just be within the scope of RNG for just the one value. The idea is that you’ll end up doing the same amount of damage with that ability over time, but the overall experience will be more positive. Missing feels terrible even when you win. So far, I’ve definitely found this to be the case, especially with a few specific abilities. 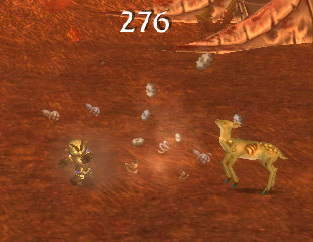 One of my favorite battle pets to grind with is my Clockwork Gnome, but I always seem to get misses with Metal Fist when I’m trying to one-shot level 5s. Now I don’t even think about that miniscule chance to miss, because it no longer exists. If this change makes it to Live, I’m going to have to retool nearly all my guides because I frequently recommend 100% abilities for the sake of replicating results, even if another move might be a bit stronger, and now this won’t be an issue. I’ve also been Burrowing and Diving knowing that the damage component will hit for a unique change of pace. The game is more fun as a result. The main concern I have, which remains to be seen as far as my own playtest goes, is the issue of transparency. Now, if your Anubisath Idol misses its 400 damage Crush twice in a row, it feels crappy, but you know why you’re starting over, and which move you may want to reconsider. 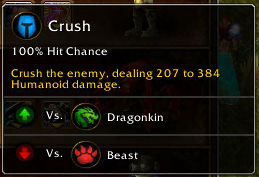 If Crush hits on the low side of its 207-384 damage range, the reason you lost will be far less apparent. Overall though, this change does make the game quite a bit more fun. I haven’t PVPed with it yet, though, so we’ll see whether my tune changes when other people can use their newfound accuracy against me. This entry was posted in Uncategorized and tagged maths, theorycrafting, Warlords of Draenor on June 15, 2014 by Liopleurodon. I’m so glad to read they implemented this change. I look forward to testing this on live (if not before).